I woke up Saturday morning with my to do list running through my head. I often only have weekends to get “me” things done…and every week that list starts with a couple of things and grows to about 20 by the time Saturday rolls around. This Saturday, I was also invited to an event, one that promised to discuss the mind-body connection, renewal of the mind, and breaking old patterns. All of these things I need as I move forward trying to build my business. I wake up most days tired, not only from my girls not sleeping through the night, but from my mind racing of all the things I want to do, beyond my regular to do list. Getting there was another issue, having to get some cleaning done before I left the house. I was a few minutes late, but right in time to get into it. What I noticed was that no one wanted success, wealth or fame! Life has broken many of us and we aren’t able to get past our past. For others, their past is not getting in their way, but they are not as productive as they could be. The session continued discussing all of the things we have to do each day. How many of these are needs and how many are wants? How many will we actually get to in one day? You can start off tomorrow being more productive. Here are some tips to help you! 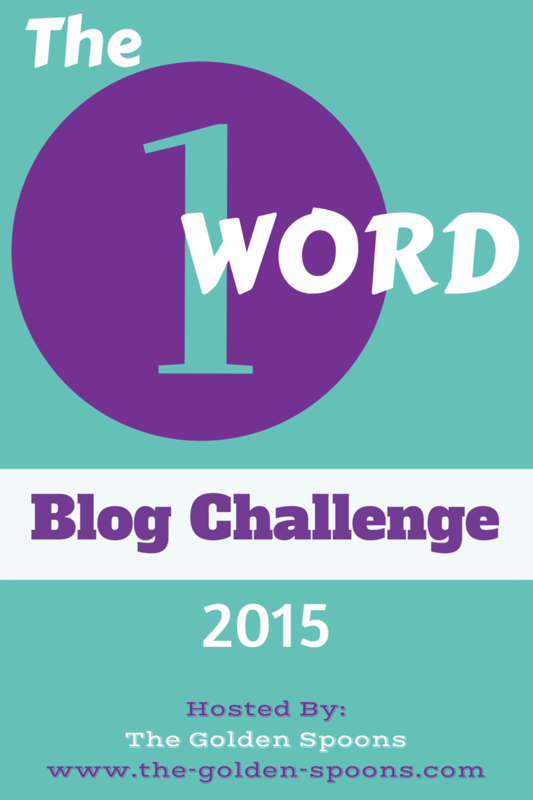 Thank you to Lisa from The Golden Spoons, who challenged myself and other bloggers at the start of 2015 to The 1 Word Challenge. This weeks words were: Tomorrow, Guilty, Confused. I usually have a list of things that I do on a daily basis. By the time I am finished with my list, I feel pretty productive. I can totally relate to the lists running through your head. I have a trip coming up on Friday and it seems like I’ve written my lists down about 4 times but they are never ending! Oh my gosh, I am such a list maker! For everything! Even for pay days – even though I know exactly what needs paid & when & how much it is because it’s the same every month! HA! We definitely need to be more consistent with out pay schedules. It really helps with our budget. Being productive for me begins with one small thing, and then following it up with the hardest thing. Doing something small gives me the momentum to continue on. I often have lists that I’m adding to on a daily basis, luckily I try my hardest not to get overwhelmed. I tend to make them a “do it by the end of the week” list. I try to work from a to do list each day. I’m pretty productive most days. Great printables! I have been all about printables lately, these will be printed! My days are so busy anymore I don’t know what I’m doing half the time! I make daily lists also because I have so much on my plate but I never stick to the list or I lose the list! I need to get more organized! I make a lot of lists and I’m so happy when I check items off them! I am the biggest procrastinator ever! I am working on that. I like to make lists to help me get things done. I like to set small goals to work towards. Definitely. Small goals work much better often. I really need to stick to my list I might accomplish more. I have so much to do and not enough time to do it. What a great challenge! Working in chunks definitely helps me a lot. If I have one big thing I have to spend a lot of time on it just seems impossible, but if I work a bit then move to something else then come back to it I don’t tire of it and actually accomplish it. Yes, definitely! I just normally pick 5 or 10 minutes and do as much as I can. Then I move on. No guilt. Crossing things off my to do list brings me great joy! It’s so important to be motivated and challenged when you are an entrepreneur. Having people in your corner who do that is key. Yes. I need more people in my corner who are here. These are really great looking printables. They look so perfect & inspiring as well. No one can really guess what is up for tomorrow & I guess positive attitude on the given day changes everything. I find that lists help me to become more organized but they also can be stressful as well. I can relate. It feels like my to-do list is never really done because it just continues to grow. I am preety much in ur same situation..always loads of stuff to do and less time.its really important according to me to organize everything .. Success, wealth and fame are nothing as compared to some of the other things you highlighted: Love, acceptance, happiness and patience would be top of my list right now! It’s nice that you were able to take part of a talk that involves changing your habits and improving. We all face different things everyday but in the end we all feel the same. It’s nice to make a change and be more productive. OK I totally need to print that up and put it where I can see it from my work space thank you! This is so important! We do often get in our own ways with all of our things we have to do. It is important to slow down and refocus. Getting a fresh perspective is also very important. These are really inspirational, I’m gonna go print them right now. Thanks for sharing! I don’t really like the idea of struggling to finish the tasks that I need to accomplish for the day and it’s good to take a breather and just make a schedule that will be convenient for you. I’m glad you went to the talk, you can learn a lot from talks like that! It’s definitely useful in our daily routines. I always looking more good things that I may comfortable making about something to do my list.! To be productive and consistent about it. I”m totally in my own way. I’m my own worst enemy for sure. Thanks for the kick in the pants. I always follow lists, that is the only way of organizing myself!. I always get in the way of my own success too. I super like your printables! I can’t wait to print it and hang on our wall. This is a great reminder. I make lists on what bills I have due and when they are due. I have to write that same list out a couple times too… bad huh? I think I am afraid of not paying something on time lol. I constantly have lists running through my head. I don’t think they ever end, lol. I write down lists all the time. I get sidetracked though frequently and forget what I had written done and fail to check it. I am trying to get better at that. I really love those printables. I need one of those hung up around my home. I could really use that kind of encouragement. I love exploring the mind-body connection and how everything is related. When my mind is calm and relaxed, I am able to get so much more done. Great stuff up there. Although in my opinion the “getting the hard part done” should be accompanied with a different motivating mindset. a lot of people know that and jump on the gun, only to fail when the going gets tough. These are nice printables. I always wanted to make my own, thanks for sharing this. These are great reminders to stop and slow down a bit. I tend to hurry up very often and you’re right, I don’t get a lot of things done when I do this. I’m a list maker. It helps keeps everything in order. I have a hard time getting out of my own head and am definitely working on being easier / nicer on myself! Those are really helpful printables. I don’t stress though, I have weekly to do lists and bills are in them. Tomorrow holds a brighter future. It may not look like that but it would definitely be something better.